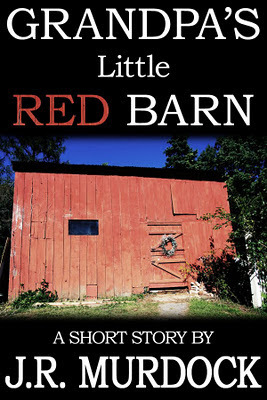 My friend and fellow writer J.R. Murdock, author of such great books as V & A Shipping, Billy Barbarian, Astel, and a great collection of short stories called Murdockian Tales, asked me to create a cover for one of his new short stories called Grandpa's Little Red Barn. As of the date of this post it is currently free so snag it while you can. Also, those first two titles are available for free in audio and I highly recommend them. They're very entertaining romps, a great time. Some other covers for this great author are in the works - you'll see more on that in later posts in early 2012. I'll just say he's going to be busy cranking out lots of fiction next year. I'm excited. 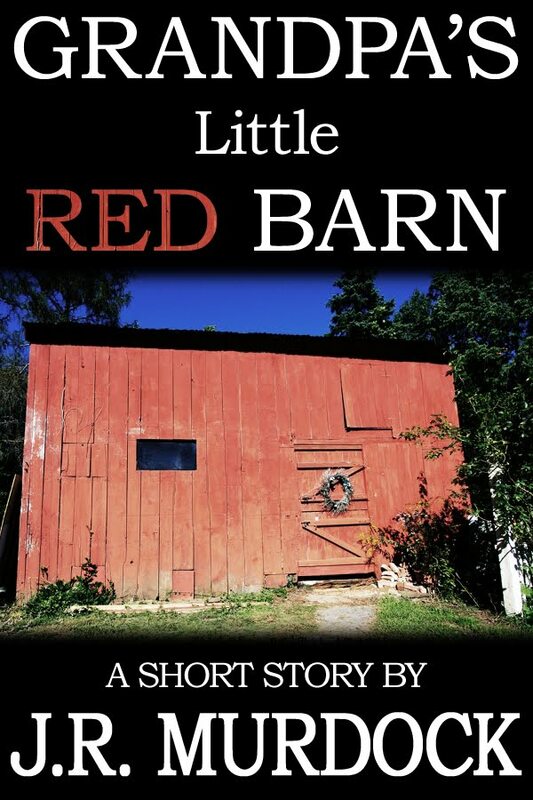 Next year will be the year of my debut novel and I have plans to also release a novella. Yes 2012 is going to be a great year for fresh fiction my friends. For this cover I was happy that J.R. had a clear vision of what he wanted. He knew what he wanted the font to look like, where everything should go, and he even provided the photo I used. I desaturated it a bit so it was no longer stop sign red, and then snagged some of the front wall to create the "RED" text in the story title text. It was fun and we both like how it turned out. I'm really excited for another cover I'm doing for him which is much more involved and included several painted illustrations to make the final image. It's going to be awesome!